Quirky NY Chick: Ghostbusters: Happy Administrative Professionals Day! Ghostbusters: Happy Administrative Professionals Day! 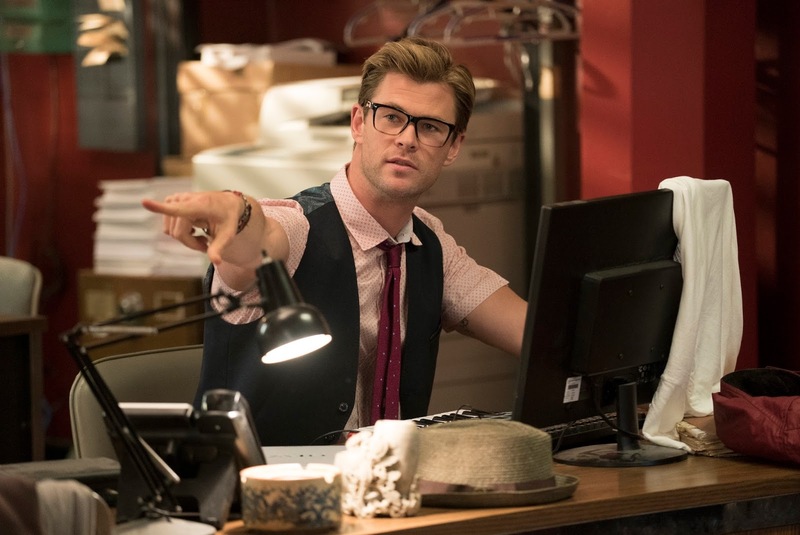 The Ghostbusters new receptionist Kevin (Chris Hemsworth) in Columbia Pictures’ GHOSTBUSTERS. Photo Credit: Hopper Stone - © 2016 CTMG, Inc. All Rights Reserved. **IMAGE PROPERTY OF SONY PICTURES ENTERTAINMENT INC.
A Ghostbusters vignette featuring Kevin, the receptionist in the upcoming film, was released yesterday in honor Administrative Professionals Day. Kevin is played adorably by Chris Hemsworth who looks to be hilarious in the role. So, who do I speak to about hiring Kevin for our office?! Oh, and to all you fantastic Administrative Professionals out there, thank you! Ghostbusters is set to open in theaters July 15. Check out the clip below. Ghostbusters makes its long-awaited return, rebooted with a cast of hilarious new characters. Thirty years after the beloved original franchise took the world by storm, director Paul Feig brings his fresh take to the supernatural comedy, joined by some of the funniest actors working today - Melissa McCarthy, Kristen Wiig, Kate McKinnon, Leslie Jones, and Chris Hemsworth. This summer, they're here to save the world! The film is produced by Ivan Reitman and Amy Pascal, and written by Katie Dippold & Paul Feig, based on the 1984 film "Ghostbusters," written by Dan Aykroyd and Harold Ramis and directed by Ivan Reitman. Ghostbusters will be released in theaters nationwide on July 15, 2016.